The third ODI between the West Indies and England was abandoned due to rain, and the two teams will now aim to take the lead in the series when they clash in the fourth ODI at the National Cricket Stadium in St George's, Grenada on Wednesday, September 27. 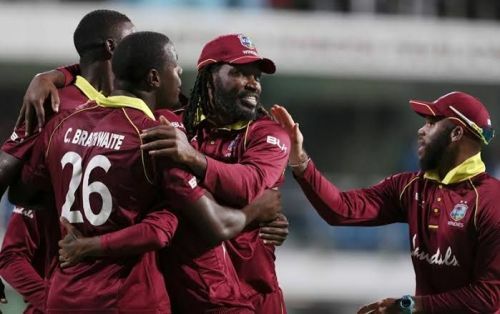 The Windies were crushed by six wickets in the first ODI, but came back strongly to level the series in the second fixture with a surprising 26-run victory. The hosts will now look to continue with the same aggressiveness in the fourth ODI to take an unassailable lead in the series. Chris Gayle is in ominous touch and has scored 185 runs in his two innings thus far. Gayle scored 135 in the series opener before notching another 50 in the second game. Shimron Hetmyer too is coming off an unbeaten 103 in the second fixture and Windies will rely on these two to get the team to a decent total. Sheldon Cottrell rattled the opponents by picking a five-fer last time out, while skipper Jason Holder has taken five wickets in two games. Both have been important bowlers for the team and are expected to continue their good work in the next fixture as well. Oshane Thomas and Carlos Brathwaite have shared three wickets between them and the skipper will need them to tighten their length and scalp a few wickets in the middle overs. Jason Holder (C), Carlos Brathwaite, Ashley Nurse, Devendra Bishoo, Oshane Thomas, Sheldon Cottrell, Chris Gayle, John Campbell, Shai Hope (W), Darren Bravo and Shimron Hetmyer. An unexpected batting collapse in the second game prevented the visitors from sealing the series and they will look to set the record straight in the fourth ODI. After a stunning performance in the opening fixture, both openers Jason Roy and Jonny Bairstow failed to keep the momentum going in the second, and will be eager to come good once again. Joe Root, skipper Eoin Morgan and Ben Stokes have amassed 137, 135 and 99 runs respectively thus far and look set for another sizable contribution here. Ben Stokes and Adil Rashid have both picked four wickets in two outings so far and will be the main threats to the Windies side. 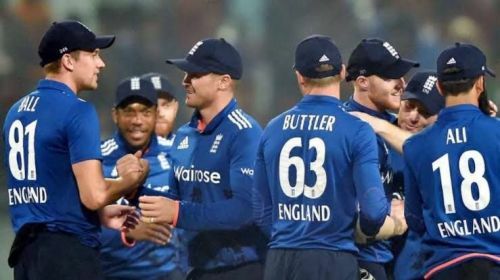 Eoin Morgan (C), Ben Stokes, Jason Roy, Jos Buttler (W), Joe Root, Moeen Ali/Tom Curran, Adil Rashid, Chris Woakes, Liam Plunkett, Jonny Bairstow and Mark Wood.